New Moon Observation for the this month! Tonight began the start of the New Moon for this month – 2/25/2017! 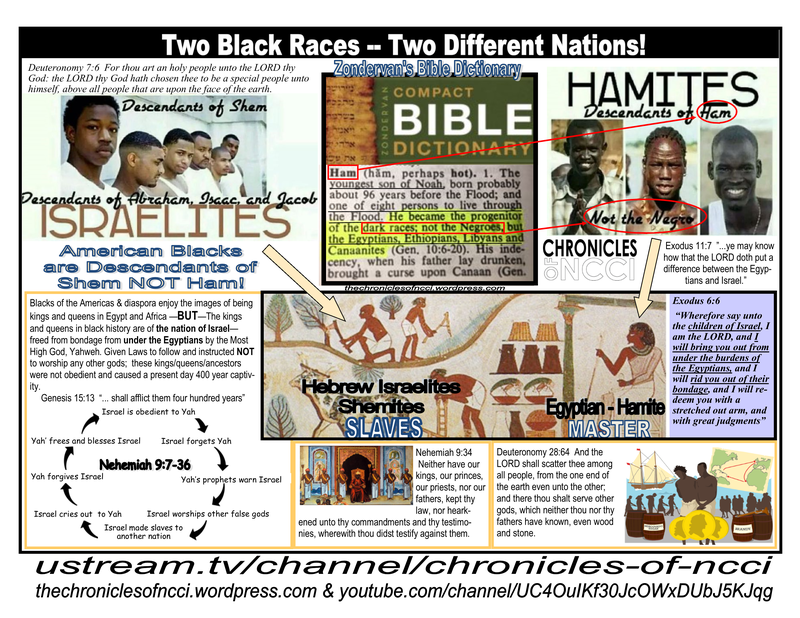 Tags: blacks, Halleluyah, Hebrew Israelite, NCCI, new moon, ten commandments, Yahshua, Yahweh, YHWH | Permalink. Tags: bible, black history month, blacks, elder Yachov ben israel, Hebrew Israelite, NCCI, Yahshua, Yahweh, YHWH | Permalink. Valentine’s Day is Lewd NOT Love!!! 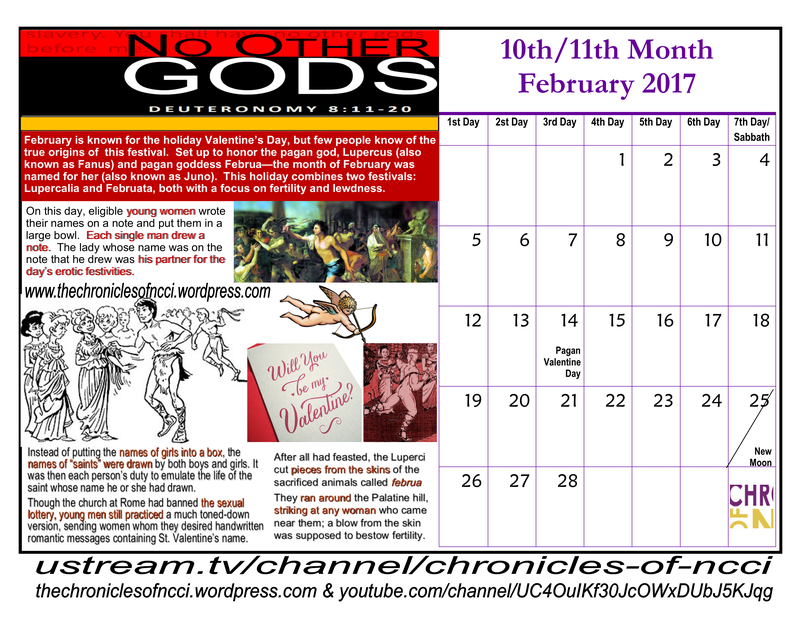 Keeping of the Ten Commandments is showing Love, NOT Valentine’s Day! 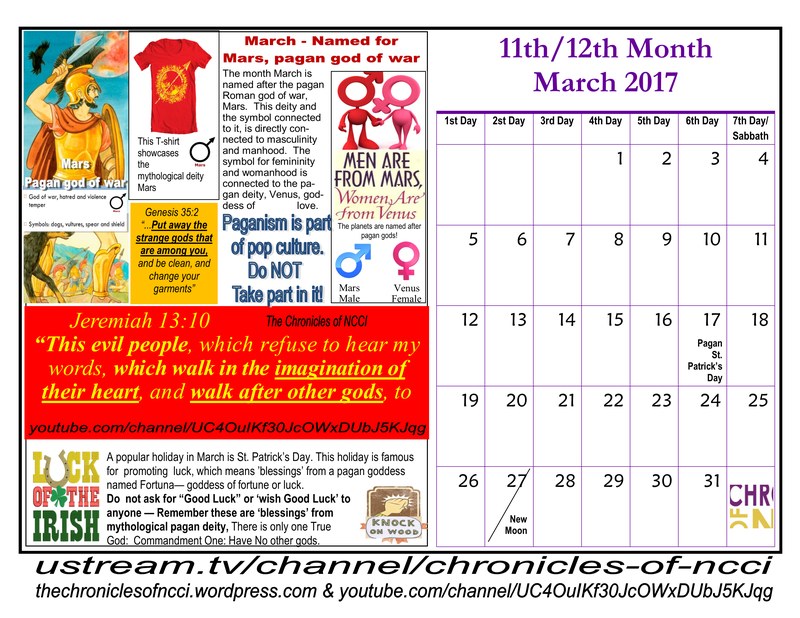 Tags: ancient Roman History, bible, blacks, elder Yachov ben israel, Hebrew Israelite, pagan holidays, paganism, ten commandments, Valentine's Day, Yahshua, Yahweh, YHWH | Permalink.